Marlon Brando in Francis Ford Coppola's The Godfather. 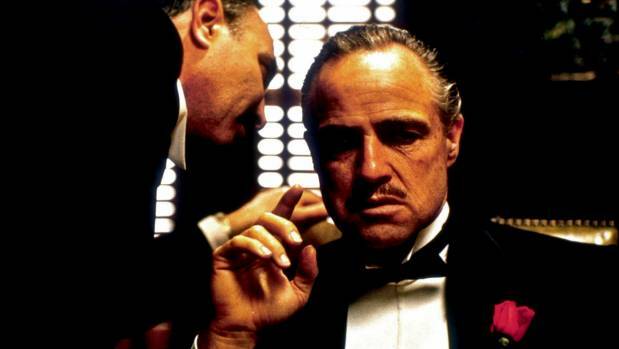 Widely regarded as one of the best and most influential films of all time, Francis Ford Coppola's 1972 gangster epic The Godfather turned many of its shooting locations - as well as its lead actors - into movie icons. Visit the scenes of the crimes of the Corleone family in the US and Sicily and you'll discover that they have a few dark - or at least intriguing - tales of their own. The house on New York's Staten Island where the opening wedding scenes were filmed. Where it all began. And where Michael Corleone revealed what his father Vito (aka The Don) really meant when he said he made someone an offer he couldn't refuse. "Luca Brasi held a gun to [the band leader's] head and my father assured him that either his brains or his signature would be on the contract," he told Kay Adams (Diane Keaton) at his sister Connie's wedding reception in the opening scenes. The dark, English Tudor-style home that serves as the Don's lair - and the site of the reception - is a visual reminder that, for the Corleones, everything is personal. From marriage to murder. The Corleones were said to live on more fashionable Long Island but location scouts failed to find a suitable house there. Actor Gianni Russo, who played The Don's doomed son-in-law Carlo Rizzi, saved the day when he showed them the house at 110 Longfellow Avenue in the affluent suburb of Emerson Hill on Staten Island - just down the road from where he'd grown up. The 580-square-metre, five-bedroom home didn't fit Coppola's vision of the Corleone HQ perfectly - most of the wedding scenes were filmed in the garden of the neighbouring property.